Rose Wines There are 2 products to choose from. 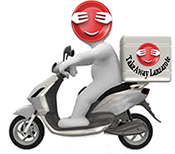 Takeaway Lanzarote - Restaurants Puerto del Carmen Mateus RoseTakeaway Lanzarote - Puerto del Carmen Pizzas | Kebab | Indian Food | Chinese Food | Italian Pasta | Spanish and Canarian Food | Greek Food | Portuguese Food . Takeaways Lanzarote : Playa Blanca | Puerto del Carmen | Yaiza | Puerto Calero | Costa Teguise | Arrecife | Playa Honda | San Bartolome | Haria | Macher | Femes . Takeaway Lanzarote - Restaurants Puerto del Carmen Casal Mendes Takeaway Lanzarote-Puerto del Carmen. Pizzas | Kebab | Indian Food | Chinese Food | Italian Pasta | Spanish and Canarian Food | Greek Food | Portuguese Food . Takeaways Lanzarote : Playa Blanca | Puerto del Carmen | Yaiza | Puerto Calero | Costa Teguise | Arrecife | Playa Honda | San Bartolome | Haria | Macher | Femes .